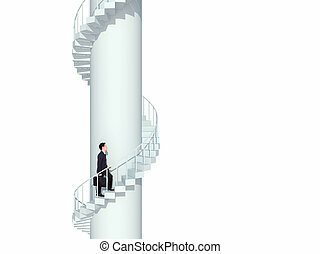 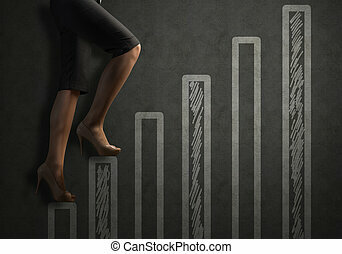 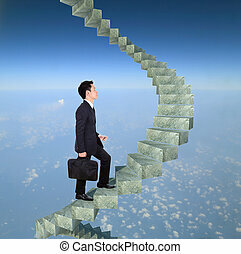 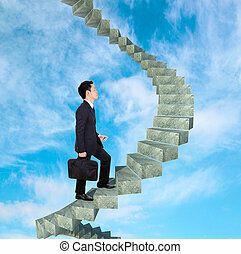 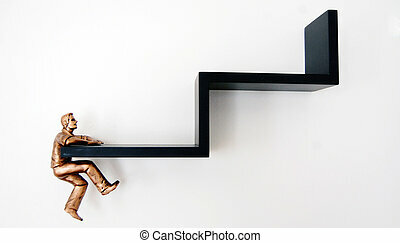 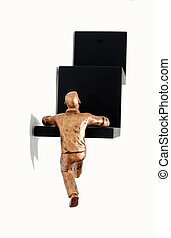 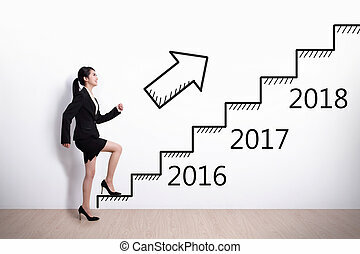 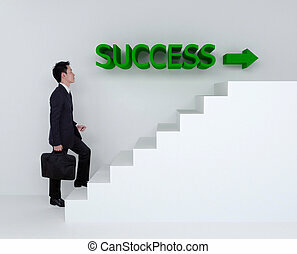 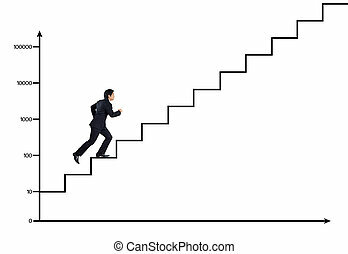 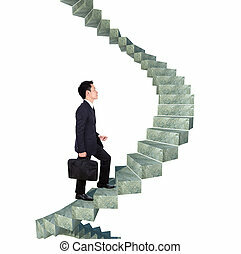 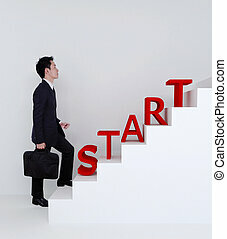 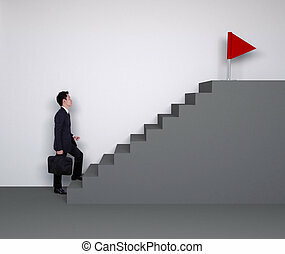 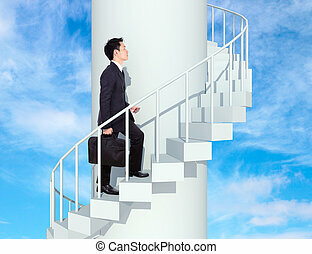 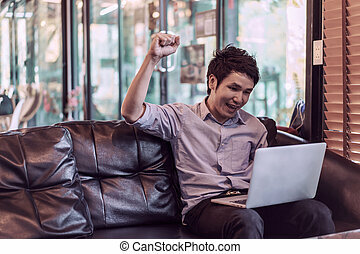 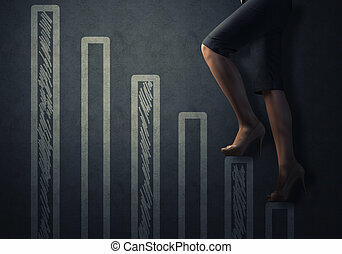 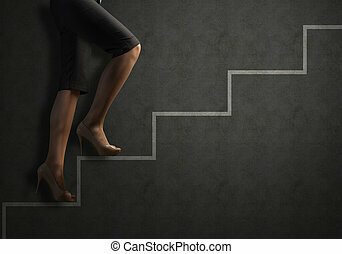 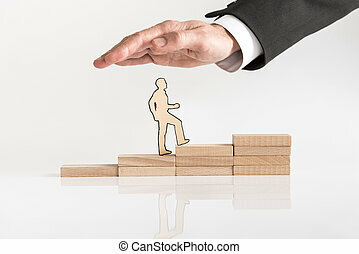 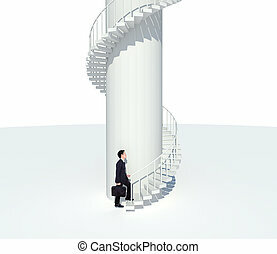 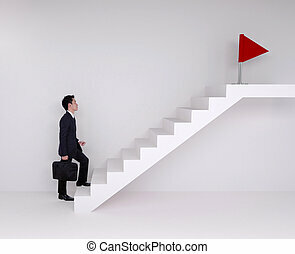 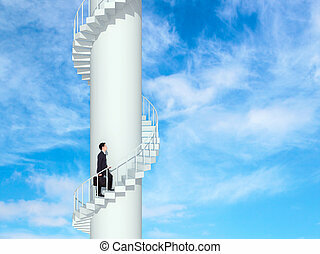 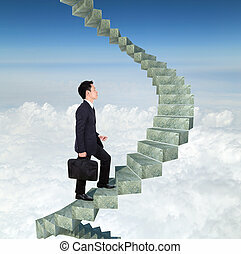 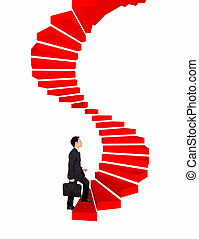 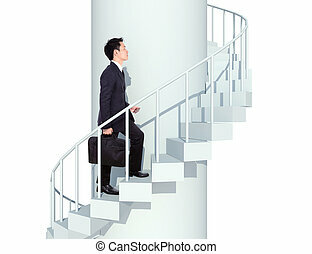 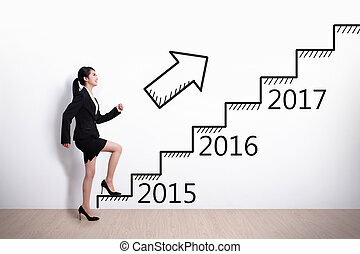 Business man going upstairs in curved staircase to success. 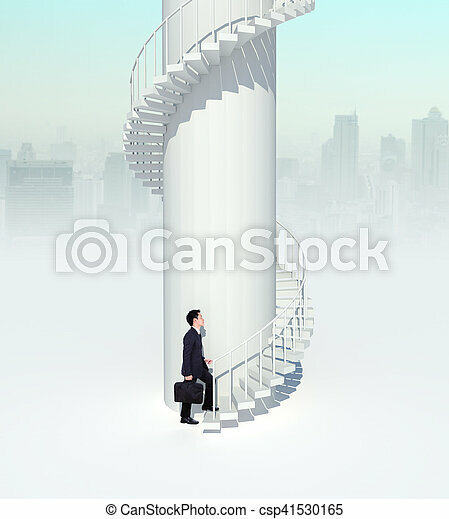 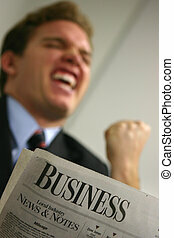 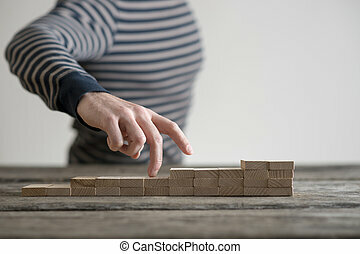 Business man going upstairs in a curved staircase to success. 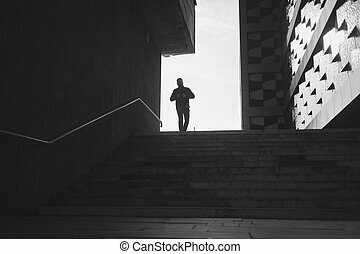 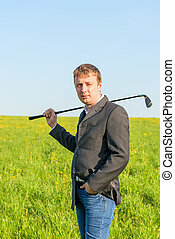 man going from to the city underground. 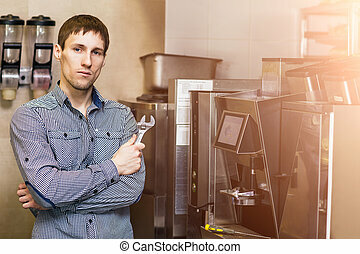 Man going to repare coffee machine in cafe.